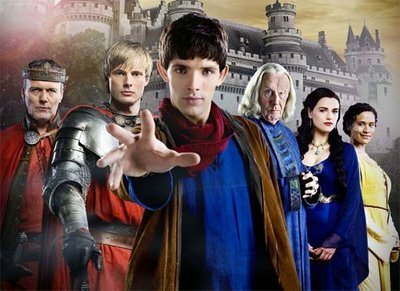 Merlin. . Wallpaper and background images in the telebisyon club tagged: tv tv show television merlin bbc. This telebisyon photo contains tabard. There might also be surcoat, kalye, lungsod tanawin, and urban na setting.